Can we handle the measurement? Potentially the most important event in the communications world is due to take place next week. Measurement Week 2014 commences in New York on Monday 15th September, with the International Association for the Measurement and Evaluation of Communication conference designed to highlight best practice for PR. Measurement holds the key to unlocking the potential of the PR industry, and is central to the sector moving forward and demonstrating its worth to the wider business community. While the pre-event hype only started relatively recently, the campaign to push for more accurate metric and to ensure that this year’s summit has meaningful and lasting outcomes has been steadily moving on for the past year. 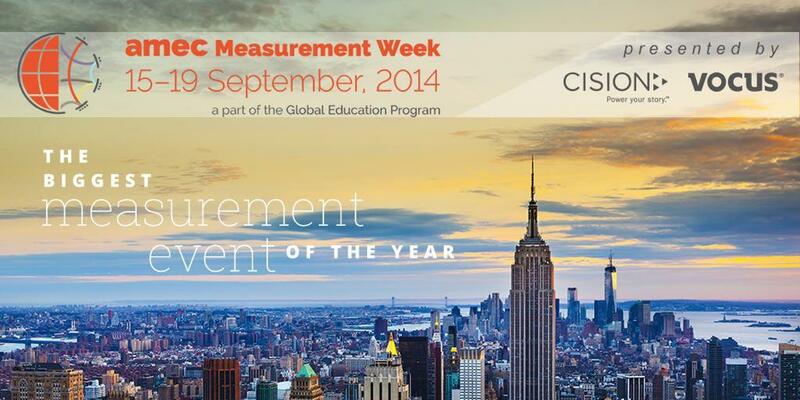 What do you want to see from Measurement Week 2014?